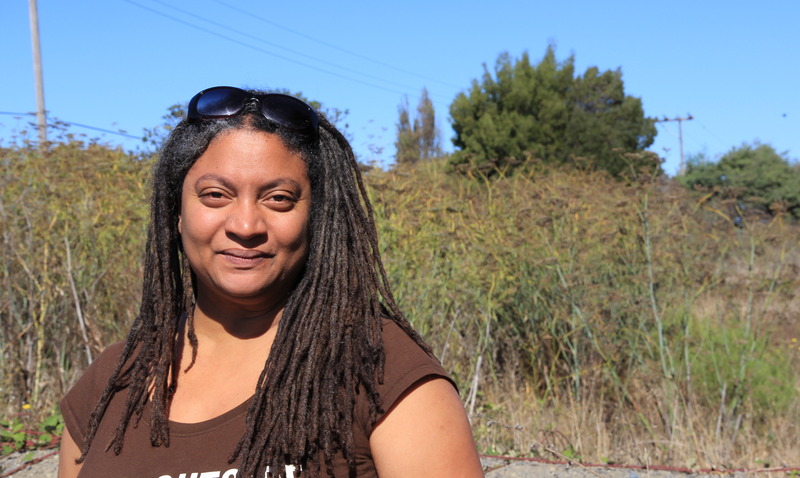 Doria Robinson is transforming an empty lot in North Richmond, California. In 2012, the city of Richmond, California, garnered national attention when its residents voted down a ballot measure to impose a tax on sugary beverages. Groups like Dunk the Junk hoped the measure would significantly hamper the city’s growing obesity problem. Doria Robinson, executive director of Urban Tilth, saw the tax as an opportunity to invest in the health of her community. Robinson emphasizes that low-income communities are often forced by budget constraints to invest only in the short-term, but something like the soda tax, which would have paid for youth sports and health education programs, could harness collective power little by little, culminating in a transformative change (voters in nearby Berkeley passed a soda tax in November 2014). “We have resources. We buy food every day. We can use those resources however we choose,” argues Robinson. “As a collective, if we all threw a little [money] in the pot, we can afford” to have a healthier future. When she was growing up in Richmond, Robinson didn’t think much about where the food she ate might have come from, let alone how she might grow it herself. The city’s poverty level hovers around 18 percent and the overall and child food insecurity rates in Richmond’s congressional district are just under 14 percent and 21 percent, respectively. Until recently, Richmond had the ninth highest murder rate in the country, and much of the violence was inextricably linked to a lack of resources and opportunities in low-income neighborhoods. 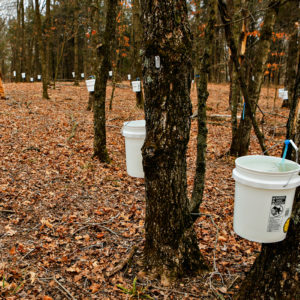 It wasn’t until she landed at Hampshire College in western Massachusetts that Robinson learned about local food, quickly becoming a regular among the students who tended to the school’s small organic farm. As her involvement in farming grew, so did her exposure to alternatives to the industrial food system. She learned the ins and outs of running a community-supported agriculture (CSA) program, tried her hand in food retail, and eventually landed back in California at Veritable Vegetable, a San Francisco-based distribution company and certified B Corp that sells produce across the state. Working in distribution allowed Robinson to see the potential to dramatically shift a whole region or city’s relationship to food. Maybe, she thought, she could help that change take root in her hometown. In 2005, shortly after settling back in Richmond, Robinson connected with local food activist Park Guthrie, who pitched an idea to a group of activists to convert 42 blocks of the Richmond Greenway into urban gardens that could both tackle food insecurity and teach residents about native plants and pollinators. Robinson had always viewed the area around the Greenway, a stretch of abandoned railroad that ran through the heart of her childhood neighborhood, as a vestige of urban blight. But Guthrie’s vision inspired Robinson, who immediately offered to help him put his plan into action. “I knew that this space could be transformed into open, gleaning gardens for the whole neighborhood,” recalls Robinson. She began volunteering with Urban Tilth who partnered with school gardeners to figure out how to build green spaces and gardens on the Greenway, and Urban Tilth found its purpose. 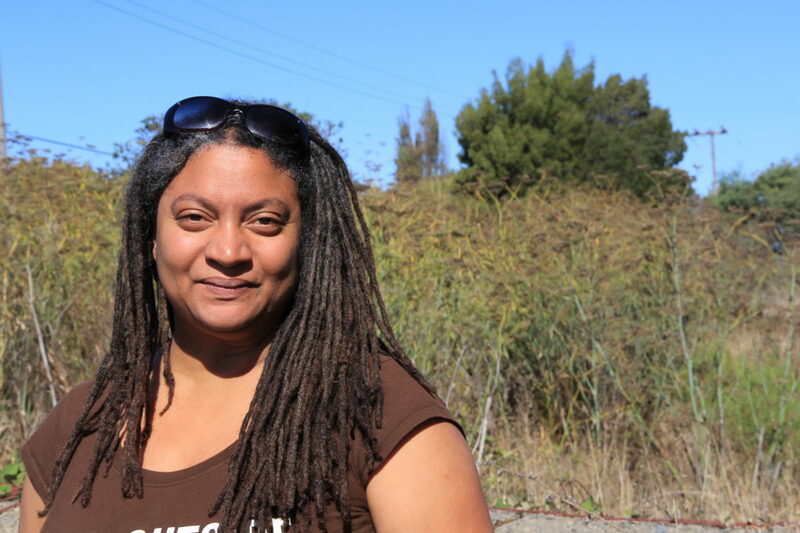 Nine years after joining Urban Tilth as a volunteer, Robinson now heads the organization. As it has grown, Urban Tilth has recognized that gardening can’t solve all of a community’s problems. “Alone, the community garden can’t sustain. You’re able to impact a much larger circle of people through a CSA or market stand,” notes Robinson. She also admits that not everyone likes gardening and that’s okay. Urban food projects should be diverse enough to accommodate everyone, even those who shriek at the sight of an earthworm. 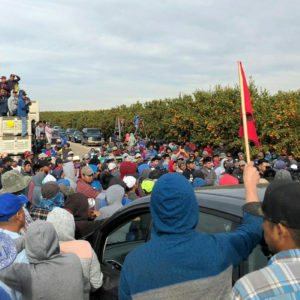 “We still want them to eat the food,” says Robinson. In addition to its 13 farm and garden sites, Urban Tilth is preparing to launch a CSA and has 150 families on the waiting list. Urban Tilth also working with The Richmond Food Policy Council on a campaign to add fresh, locally-sourced salad bars to Richmond schools. The idea for the Council arose out of the need to protect the vital local food infrastructure Urban Tilth had begun to develop. After combing through the city’s ordinances, Robinson and her colleagues realized that community gardening was not explicitly permitted—which effectively meant it was illegal. Although many city officials informally supported local food, the Council worked with City’s Planning Department to create the city’s first urban agriculture ordinance in order to protect gardens and other urban food projects well into the future. 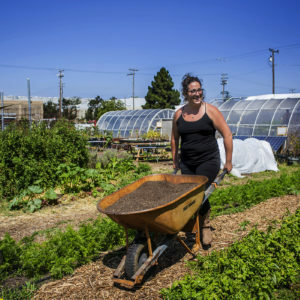 Asked if she ever feels Urban Tilth is stretched too thin, Robinson replies that the organization strives to meet her community’s myriad needs—many of which go unaddressed by other groups or local governments. “We could wait around for somebody to come along,” she says, “but we decided to step in” and make change happen. While Urban Tilth has certainly propelled significant changes to the landscape in Richmond, Robinson champions the organization for its investment in the city’s most important resource: its residents. Like many community-based urban food projects, the organization relied almost exclusively on volunteer labor in its early years to tend and manage the gardens. This, Robinson says, was simply unsustainable. In a city where steady employment for youth and inexperienced workers is limited to big box stores like Walmart and Target, or fast-food joints like Taco Bell and McDonald’s, Urban Tilth provides a different path. The organization’s programs target youth and trains them to become community leaders who can pass knowledge from generation to generation. Robinson ultimately hopes that by empowering young people with hard skills in agriculture and business, Urban Tilth might eventually seed a number of small co-operative food business in Richmond. 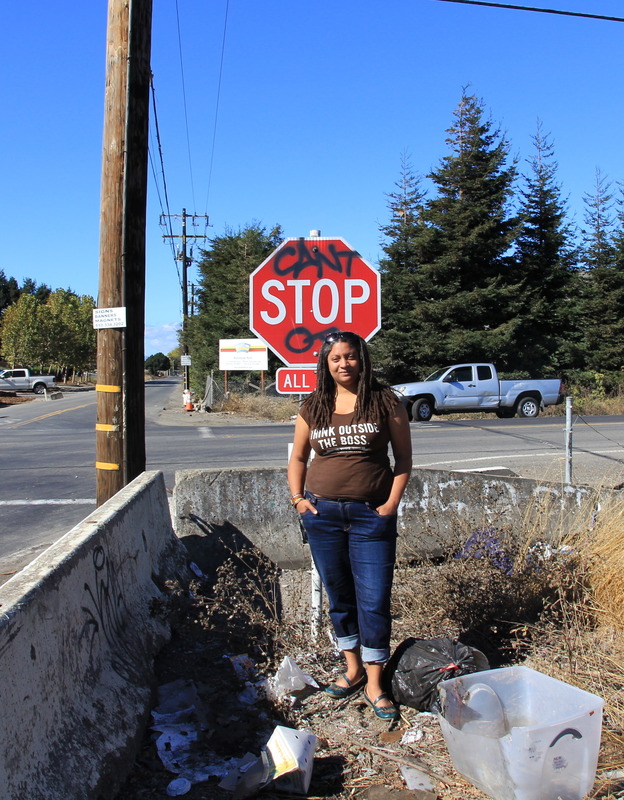 Its people like Doria and organizations like Urban Tilth that make our world go round. Thanks for all the great work they do in the Richmond Community...so important AND inspiring! This is amazing! Richmond is a beautiful city with much potential. It needs people like Doria to help it shine, and truly be a city of pride and purpose.